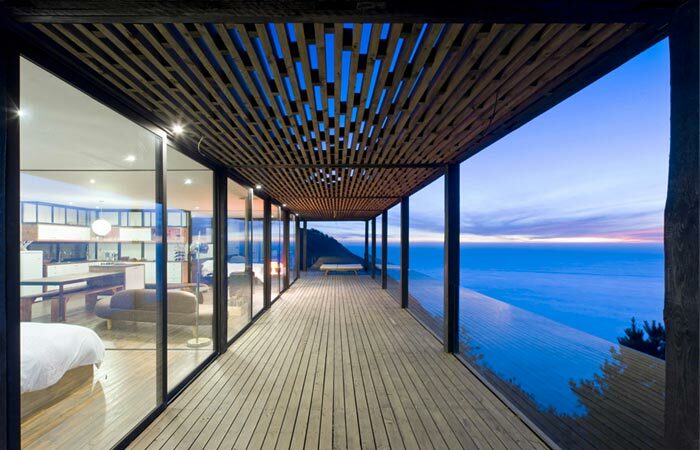 Casa Till is an outstanding project by WRM Architects. 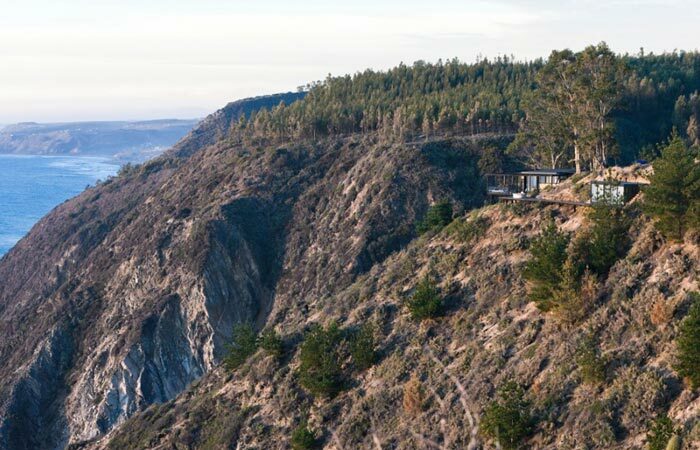 It is located on the cliffs of Los Arcos, Chile. This breathtaking location and the house combined will totally blow your mind. The residence itself is pretty small, but it does not lack style at all. This single storey house has amazing wooden construction that resembles those from fairy tales. 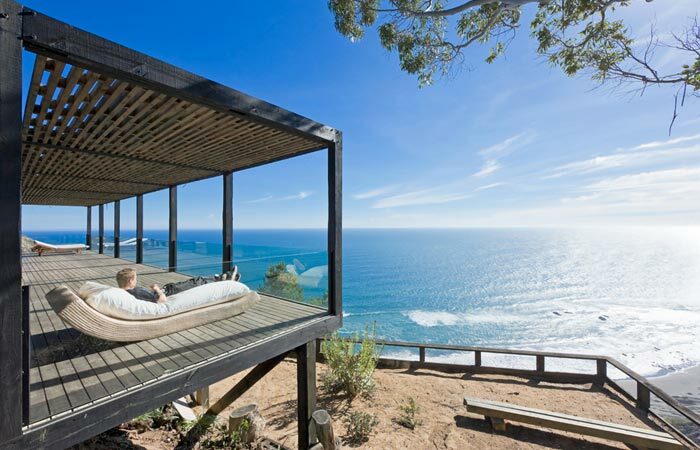 Moreover, it is surrounded by the sea and the view is absolutely breathtaking. 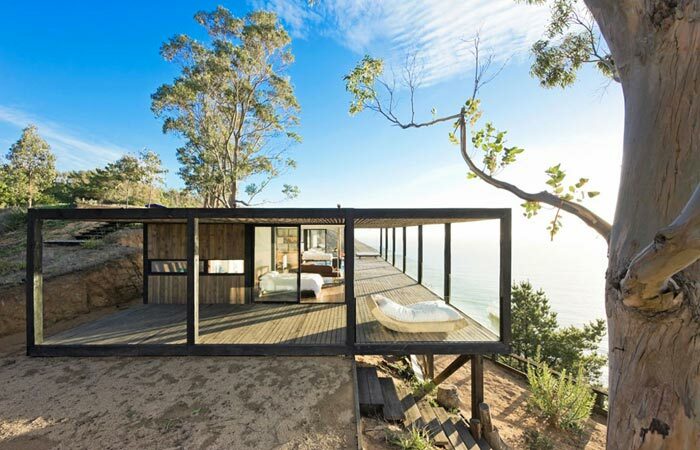 The eco-friendly Casa Till has a system of sliding walls, which allows its guests to change the size of their rooms and have as much privacy as they want. 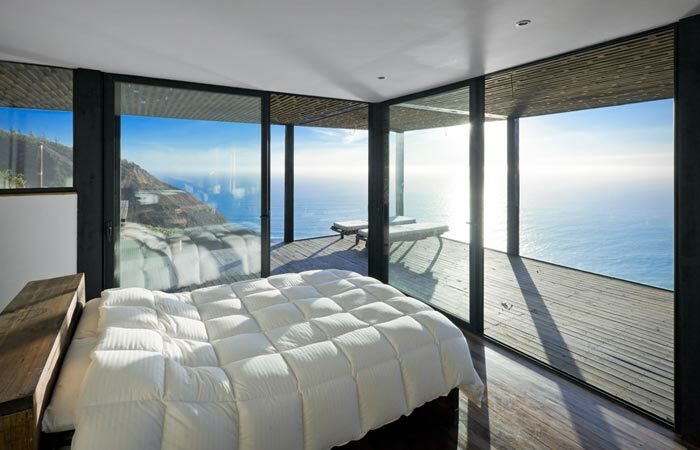 Even though the house itself is not very big, the large floor to ceiling windows will give you the feeling of being in a much bigger space, because the only things you see through those windows are the endless sea and the splendid sky. 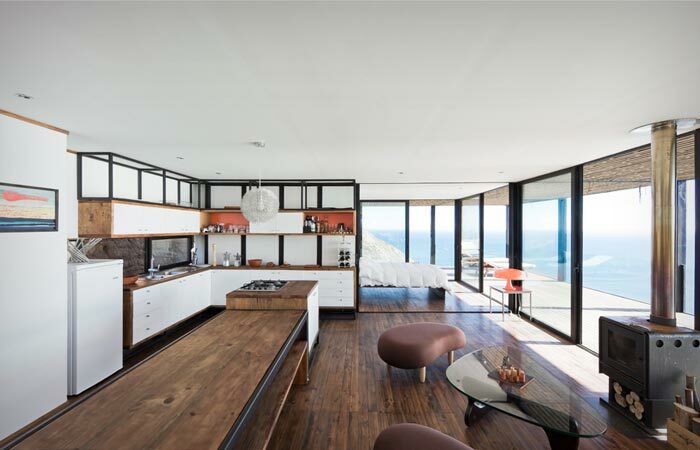 The furniture and floors are made of wood, as well as the whole house, and all of this creates a wonderful synergy with the surrounding nature. In front of Casa Till is a long staircase that leads to the wonderful beach below.